This blog is my personal call to YOU for action! 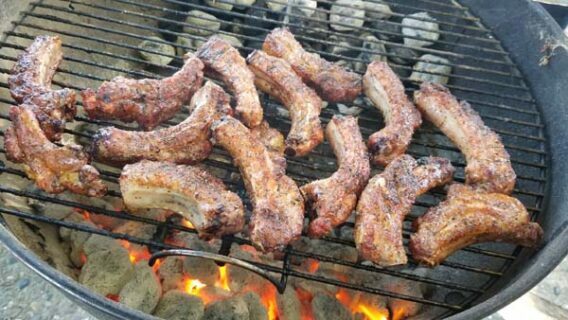 I’m looking for volunteers to help launch our Grilling Life Skills Program for at-risk youths. What’s this about you may ask? In August 2018, we launched a pilot program in partnership with the Hayward Adult School. 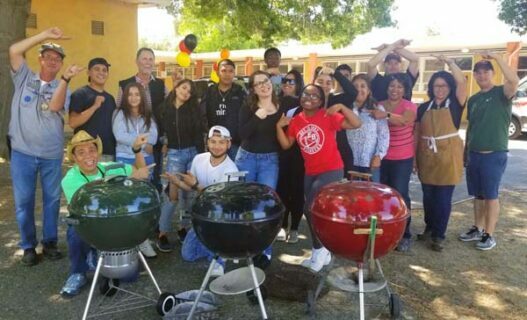 The goal of the Grilling Life Skills Program is to provide grilling life skills training to at-risk youth in local communities. 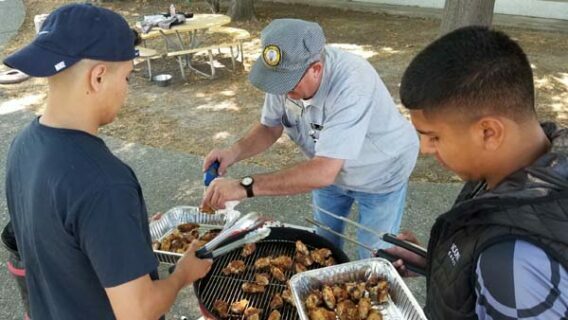 Volunteer pitmasters teach basic grilling skills to youth in a half-day day class. 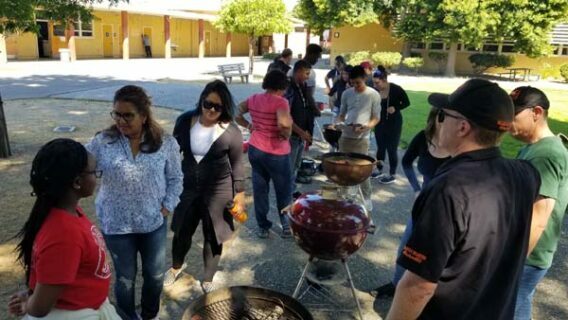 In the pilot, five pitmasters taught about 15 at-risk youths in the Hayward Youth Enrichment Service (YES) program how to develop grilling life skills. These youths were from foster-care and juvenile-hall and needed support to help to get their lives back on track. To learn more, you can download the Program Guide and watch the 9-minute Youtube Video to learn more. By way of background, I met Ms. Davida Scott, a teacher of the YES program at a charity barbecue contest benefitting AutismSpeaks.org. She brought a few of her students to the event and Donna of Butchers Daughter BBQ and I taught them some grilling pointers at that contest. After getting to know Ms. Davida and her kids, we were touched by their stories of dire family life challenges such as incarceration, poverty, and drugs. These kids were bright sparks of hope who desperately wanted to change their lives positively. After some brain storming, we hatched an idea to partner with Ms. Davida and Dr. Zak, the YES Director, to start a pilot session on August 4, 2018. To aid in our efforts, we rounded up some loaner Weber Kettles and recruited three local pitmasters Kyle (Choo-Choo), Scott (Scooter), Dustin (Big Sloppy) to help. If you’re a teacher reading this, we hope that other teachers and social workers could partner with volunteer pitmasters to replicate this program in any city. If you are a pitmaster reading this, we hope you could download the Grilling Life Skills Program Guide which contains 15 chapters of information and attachments to help you get started. If you need help, please contact us as we are happy to answer questions or provide more information. In Part 2 of this story, Donna and I, with some volunteer pitmasters, will be sponsoring and helping two at-risk youth teams in November 2018 at a charity backyard BBQ event in NorCal (see Harry’s social media for more information in the days leading up to that even). We hope to be able to launch a train-the-trainer program to teach you and other pitmasters how to conduct such a program. If you’re interested in helping or participating, please contact us. THE AT-RISK YOUTH OF AMERICA NEEDS YOU! This sounds like a Great Youth Community Service Program!! I have the Manual. I will review and would love to get something like this going here in the Motherlode. This next Sprint or this Winter. 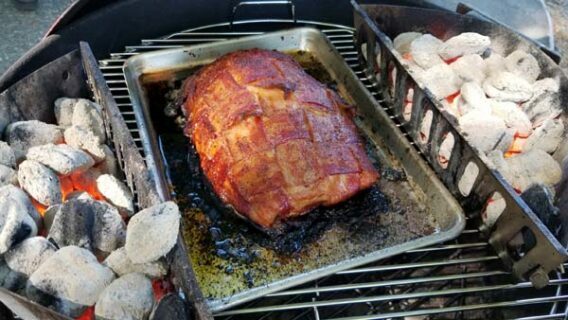 I have a few 22in Weber BBQ Kettles and my Catering 55gln Ugly Drum Smokers. Hello Harry, watched some of your videos last night and learned so much. We want to be involved and begin your program in our home town in East Texas. 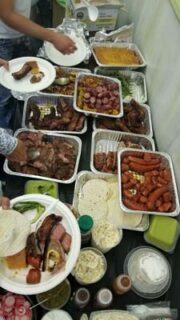 We opened up our catering business as a side business, however the ministry is really starting to grow. Like you, our biggest prize is to see the looks on peoples faces when they eat our BBQ. I tried to download the link for your program, however it doesn’t seem to work. Is there somewhere else we can get the info….thanks so much. Hello, My name is Chick W, I have a brother that recently felt the pain of being one of those At-Risk (youth) and was sentenced to 17 years. Thank God he is out and doing his passion. 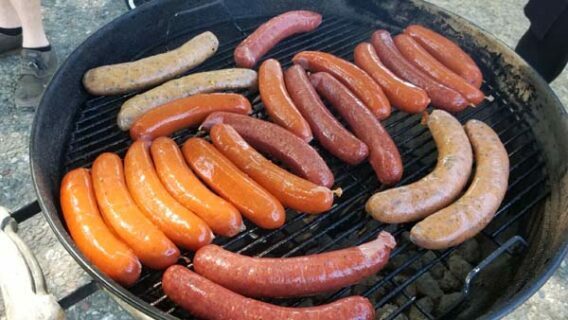 "yes" (self taught) "smoking/grilling meat, I wish he could have taken part in something like this long before his troubles, but Glory be to God he is interested in giving back. He is one of the hardest working young man you will ever meet. He and I are interested in launching your idea here in Little Rock, Ark where crime is at an all time high. My brother would love to give back to the At-Risk-Youth. We are thinking of launching your program, especially after reading how much support you and your wife bring to the newbies that are interested. I will definitely be in touch with you soon. We are talking of attending your class. 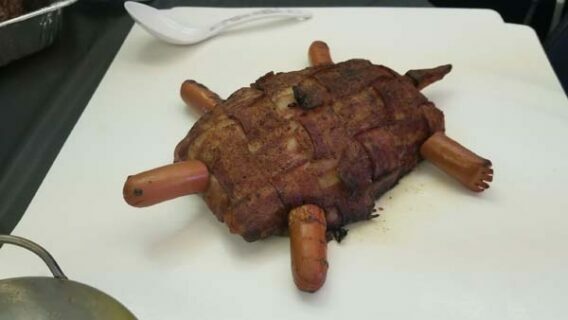 although we can only afford for one of us to come, (him) we think learning your grilling/smoking technique will allow him to bring some of the skills back when we decide to launch the program. I am downloading the book and hope to speak with you soon. Hi Chick, you can email me at [email protected] I will be posting videos on teaching-you-how-to-teach on my YouTube channel Who knows, I may drop by Arkansas and teach you how to teach a class! We have 50,000 kids in American who are at-risk, the highest in the world. If these kids end up in the adult penitentiary systems, they are 35 times more likely to become career criminals. I designed the program so that if you can volunteer half-day on Saturday, you can make a difference in these kids lives. When you’re 16, you should be thinking about what suit you want to buy for an interview; not what gun you need buy to pop another gang!